As a big data professional, it might blow your mind how many people still use Excel for storing, sharing, and analyzing data. But it happens... how can this be resolved? There are various online web applications and offline software that help you to get your job done. A task management tool, a collaboration tool, a CRM system, your calendar or just a piece of pen and paper, you name it. But let's face it: You probably have a basic Excel sheet on your desktop which you use to enter data, don't you? A quick entry for your sales lead, a quick calculation of a quote or a mini project management to keep your task status up-to-date? Why Do You Have This Excel Sheet? Looking back on my career path, I have seen two major reasons why people replace their software with Excel or extend the software with an Excel file: either the software is too complicated to use, or the software does not offer a simple feature you need. You get frustrated and get back to the magic of Microsoft: the Excel file. Add some columns, rows, and functions and you have it in a few minutes. Copy and paste data into the sheet and bam, there you go! Attach it to your email and share it with your customer or colleagues. Quick and straightforward. Agree? Picture it: A colleague or customer starts to add their data or comments to the sheet. They send it back to you via email, override your current version on the network drive or add an extension like "_v2" to the filename. Imagine the procedure goes back and forth several times and you end up with "_v3, _v4, _v5." You keep all the versions on your local drive, your customers and colleagues do the same for sure. You don't want to delete them as you might want to get back to an older version. You might now protest, "But hey, there is this change tracking feature!" Well, to be honest, who is using it? I haven't met one person in the last 15 years who uses the change tracking feature for an Excel file. You might be exceptional. Who Didn't Close the Excel File? Let's look at yet another disadvantage of Excel. 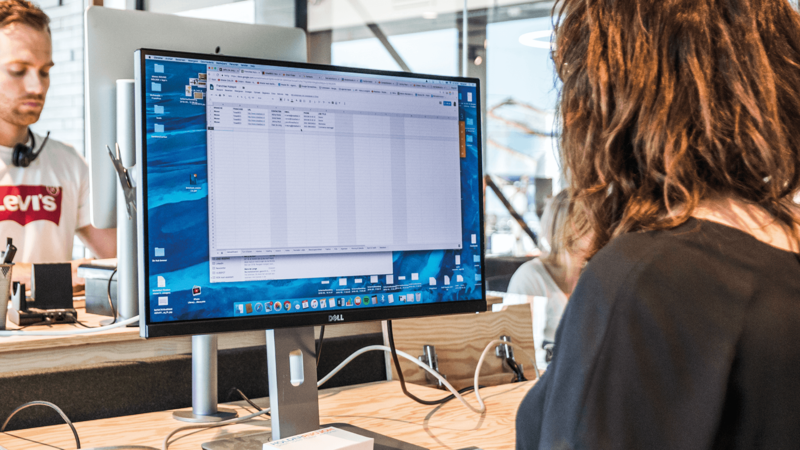 As soon the Excel file becomes a "tool" for your department or even the entire company, the file has to be accessible to multiple persons at the same time. And then the phone rings and your colleague asks you to close the file as he urgently needs to look up a price. This happens several times a day. The file crashes, someone accidentally moves it to another folder, data is missing, I can list a bunch of failures caused by the collaborative use of an Excel file. You ask why? At one company I even wrote a macro (yes I did!!!) which automatically saves and closes the Excel sheet after a pre-defined time. Excel is not a database. It is not an application where several people are able to work on it at the same time. The time has come. The evil Excel file has to die. But what should we do? I know an insurer for cars who had been working with Excel sheets in order to capture insurance cases. For years! At the end of the day, they had to develop a software. And you can imagine the costs of such a software project. I assume that 95% of companies run their core business in Excel. And all of them live with the above troubles: locked files, corrupt files, wrong data, and so on. What's the solution? Turn the Excel files into web apps! All of them! With no-code platforms, you can define your data structure in models, set your relationships between your models, and finally import your Excel file and match the columns with the models and fields to turn your Excel file into a working web application. And, it all takes a fraction of the time. As a web application, your evolved Excel sheet now has all the advantages of a web-based software. Accessible via the Internet in your browser, you can share it and multiple persons can concurrently work on it. No versioning of files, no corrupted data and you can extend your web app overtime with new calculations, fields, and so on. And it's shareable with a link without being attached to an email. Published at DZone with permission of Nhan Vu , DZone MVB. See the original article here.